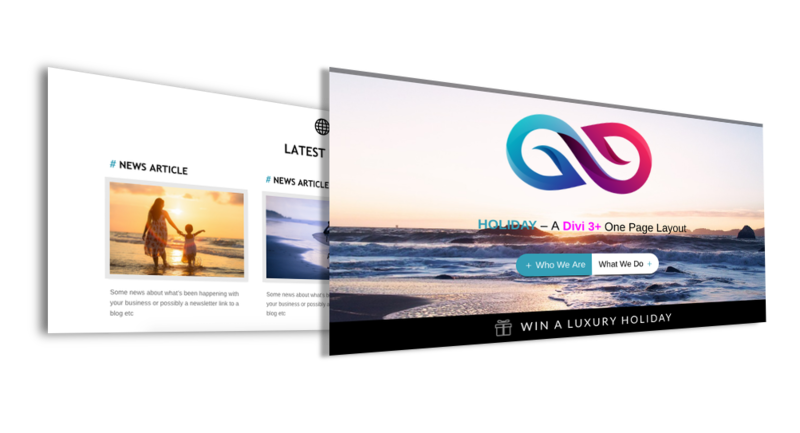 Holiday – is a free Divi 3+ Layout, and is easy to import into a fresh Divi page. Download the .zip file which contains a .Json file. Import the .Json file into a fresh Divi page and enjoy! 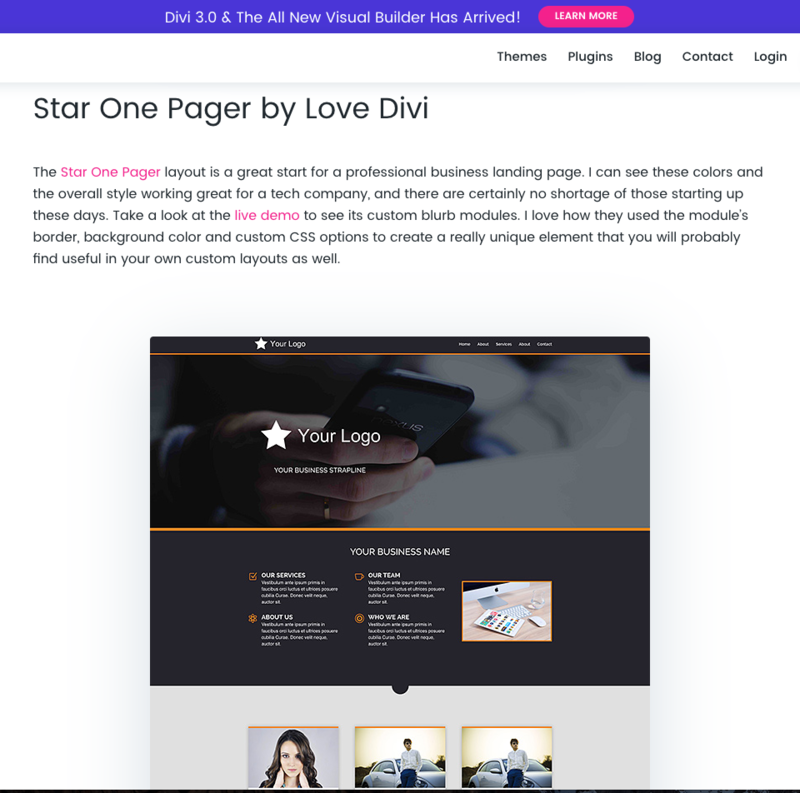 Divi Star One Pager Layout – is a lovely layout with a few simple tricks to make your design look slick and professional. This layout featured in Elegant Themes best free layout packs from around the web and has been downloaded over 5000 times. Hope you enjoy this design!